Bee, is also called Honey Bee, according to insect taxonomy may separate into groups which belongs to Hymenoptera, Polypodia, Needletail, According to fossil data, honeybees have been found in a large number of new strata in the third century. Many breeds of the family Honeybees have great economic value and are closely related to human life. Many kinds of products or behaviors are closely related to medicine (such as honey, Royal jelly, bee venom), agriculture (such as crop pollination), industry (such as beeswax, propolis). They are called resource insects. The most familiar bees are Italy honeybee and Oriental bee domesticated for making honey. Honeybees belong to Hymenoptera and APIs. It is a social insect that can fly. They are called resource insects. Their body length 8 – 20 mm, yellow brown or black brown, densely hairy; The head is almost as wide as the chest; The waist is smaller than the chest and abdomen; Antennae geniculate, compound eye oval, mouthparts chew suction, hind feet for corbiculate leg; Two pairs of membranous wings with large fore wings and small hind wings, fore wings and hire wings are chained by hamulus; The abdomen is nearly oval, with less hair than the chest, and a sting at the end of the abdomen. 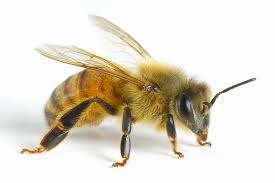 Honeybee is a complete metamorphosis insect. It passes through four insect states: egg, larva, pupa and adult. The eggs of honeybees like banana shaped with milky white color; egg membrane is slightly transparent and slightly thin side is end of the abdomen, opposite thicker end is the head. The embryos in the egg develop larvae after 3 days. It is like white worm. At first it was C shaped, and as the worm grew, the worm stretched out and headed toward the nest. It was fed by worker bees during larval stage. Female larvae hatched from fertilized eggs develop into worker bees if larvae are fed with honey and pollen in royal jelly on the first three days. The same female larvae develop into queens if they are continuously fed large amounts of royal jelly during the larval stage. Pupal stage is mainly the transformation and differentiation of internal organs, forming various organs of bee. Gradually showing 3 parts of the head, chest and abdomen, the appendages were also revealed, and the color gradually deepened from milky white. The mature pupae take off the pupa shell and break the nest cover and become a bee. The bee’s exoskeleton is soft, and the villi on the surface are tender and light. Soon the skeleton hardened, and the four wings straightened, and various organs in the body developed gradually. More animals from New Zealand.